We would like to inform you that we have done away with monthly minimum fees altogether, making it easy for organizations of any size to start leveraging Directory-as-a-Service! Now, instead of having to hit a $100 pay floor, monthly users can use the JumpCloud platform right away. And, as always, your first ten users are completely free, so you can start using Directory-as-a-Service for 11 users and more at a low monthly fee. JumpCloud® recently commissioned cybersecurity advisor, Coalfire Systems, to perform an in-depth analysis of our Directory-as-a-Service® platform with respect to PCI DSS, HIPAA, and GDPR compliance. They conducted technical testing, architectural assessment, and compliance validation. Check out our Resources page to read these two whitepapers. While you’re there, be sure to also check out “Why It’s Time to Take Identity Security Seriously”, our exposé on modern security breaches. Now, you have a better way to build and manage user profiles through a new series of user attributes. Attributes that have been added to the user object include employment data (e.g., Job Title, Department, Location, etc.) as well as other personal information (e.g., Middle Name, Display Name, Employment History, etc.). Once stored in JumpCloud, these attributes will propagate to the user’s record within JumpCloud’s LDAP service. By having a wider array of information you can store in JumpCloud about a user, you can better centralize their definition in your organization, allowing other resources to pull and leverage that information directly from LDAP or JumpCloud’s RESTful API. You can read more about this update in our Knowledge Base, and keep on the lookout for a continued series of features related to this exciting new implementation. 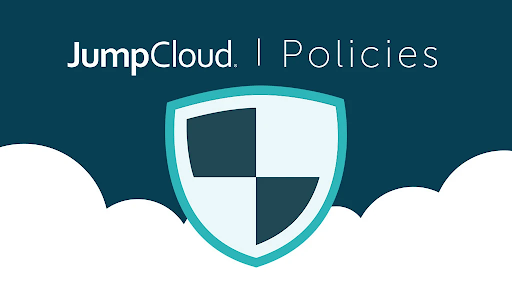 JumpCloud’s Policy Results section has now been improved to allow for search and filter functionality. This new addition will help you slice and dice your policy results with greater ease. 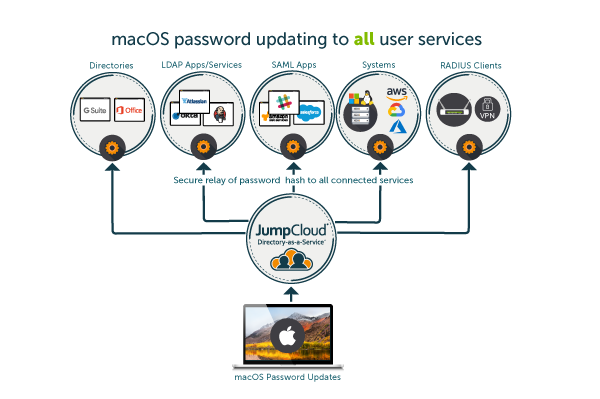 JumpCloud® has recently partnered with MacAdmins, a community of Mac®-minded sysadmins and other IT professionals. Our CPO, Greg Keller, was featured on the MacAdmins podcast, and had the opportunity to deliver a webinar during the MacAdmins monthly Meeting, which was hosted at the University of Utah. In his MacAdmin podcast interview, Greg delved into an issue plaguing many an IT admin with Mac fleets involving Secure Token and FileVault®, and how the new JumpCloud macOS System App solves it. In his webinar presentation, Greg explores JumpCloud as a whole, including a live demo of the Directory-as-a-Service platform. This month, JumpCloud’s Success Team would like to guide you through controlling passwords on your Mac/Mac fleet. With all the recent changes to the Secure Token and FileVault in macOS High Sierra, many people are struggling to change their Mac passwords. We felt its impact at JumpCloud, too, and have decided to tackle the problem head on. We have updated our Mac Agent to allow admins to create new Mac users remotely, and, thanks to our new System Agent Mac Menu Bar App, users can change their passwords directly from their desktop in a couple of clicks. To learn more, contact our Success Team or check out our YouTube videos and Knowledge Base articles on the subject.